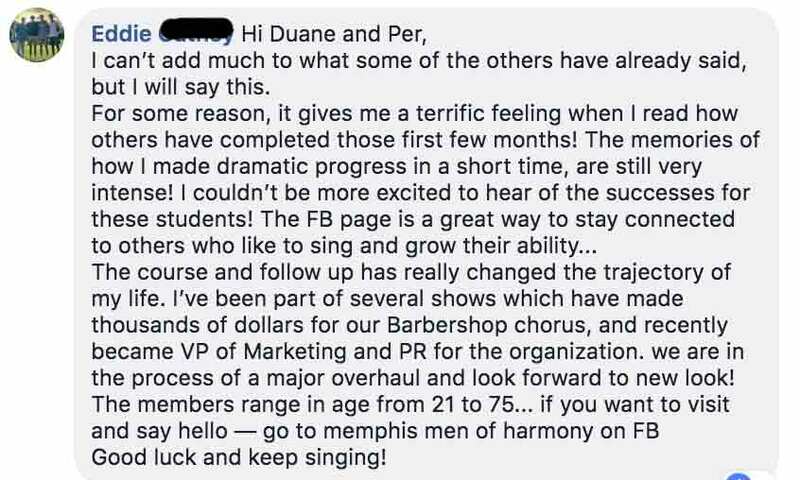 "I would like to ask long-timers what you find to be the value of The Singing Zone membership and the facebook group that justifies the monthly cost? Here are screenshots of some of the responses. We have blacked out their names out of respect, since it is as a private group. Once you become a member you'll see everything.